Intro-Tech - Ultimate Reflector Custom Folding Car Sun Shade | Protect Your Interior from UV Damage | Custom Car Sun Shades for Sale | California Car Cover Co. This ultimate reflector custom folding autoshade does double-duty by reflecting the boiling heat in the summer and attracting the warm rays in the winter. It's reversible! 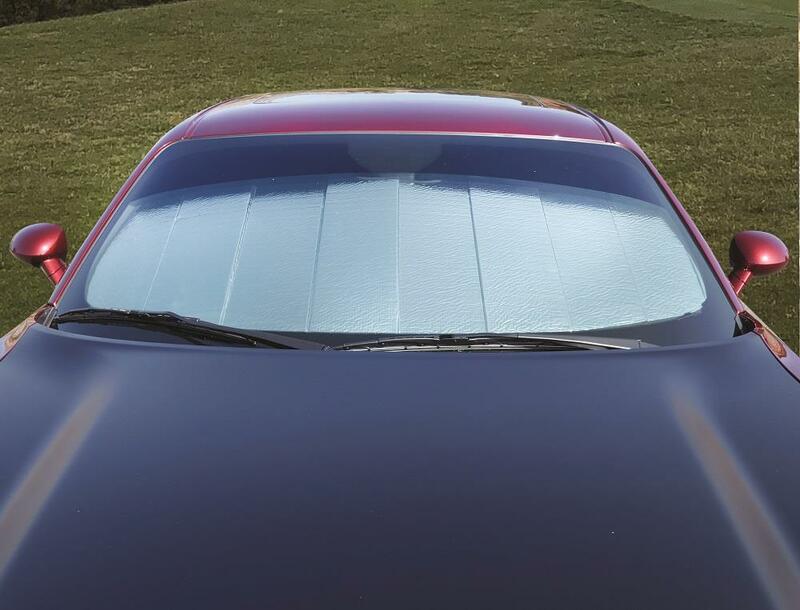 Custom-patterned for your vehicle's year, make and model to provide the ultimate coverage, the shade has six layers of durability and is a reflective Mylar to ward off summer sun on one side and an absorbent graphite felt on the reverse designed to pull in the warmth of the sun in the winter. Sandwiched in between are an air-cushion barrier, dual fiber layers and 1/4" thermal foam board. Use it all season, every season to prevent sun damage and take the edge off of extreme temperatures. Folds and stows easily in the included bag and is backed by a lifetime warranty. Over 2,300 custom patterns available to provide ultimate protection for your car, truck, SUV, minivan or van. If you've ever stepped into your car and scorched your hands the moment you touched the wheel, you know what a pain it is—literally—when your car overheats. Preventing this isn't just a matter of comfort. Excessive exposure to UV rays can also damage the interior of your auto, including its upholstery and console. Investing in a sun reflector can help you prevent this while keeping your car cool and comfortable at the same time. An IntroTech shade is the perfect choice if you are seeking a folding sun shade that is durable and effective. 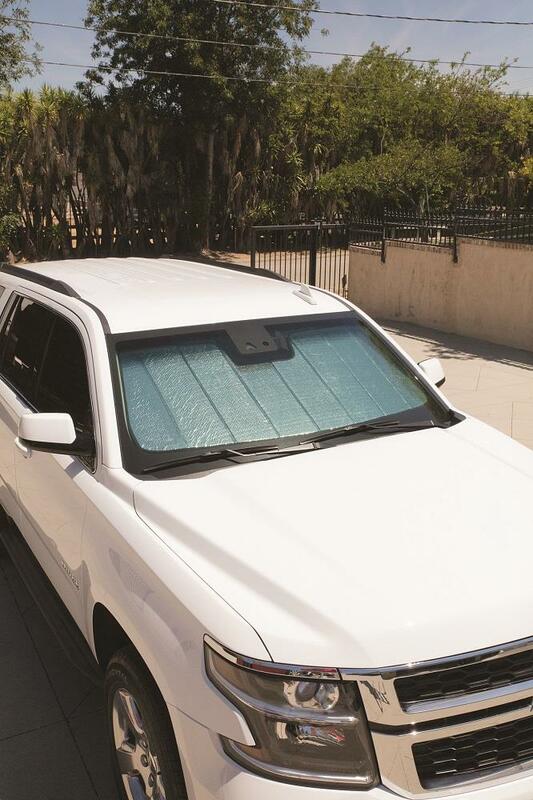 With protective graphite felt and convenient folding panels, this reflector blocks damaging UV rays to keep your car safe. The Intro-Tech Ultimate Reflector Sun Shade goes above and beyond simply reflecting harmful UV rays. 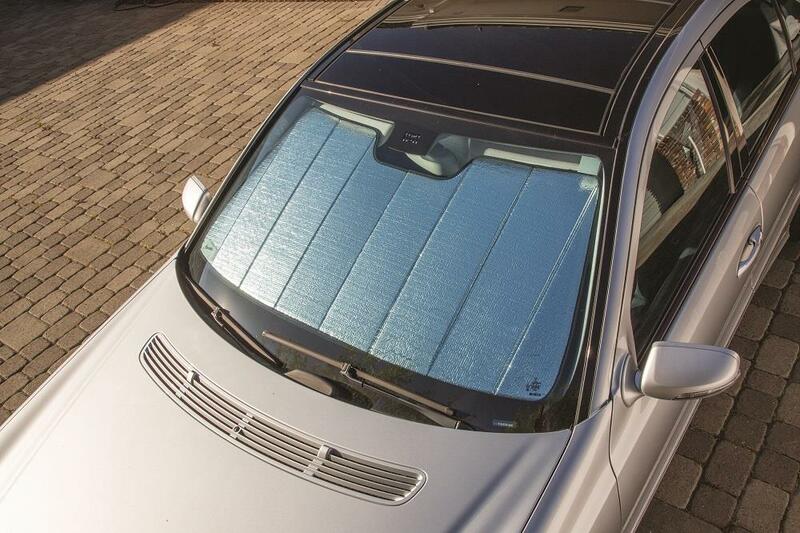 This shade is designed to regulate the temperature of your car's interior year-round. 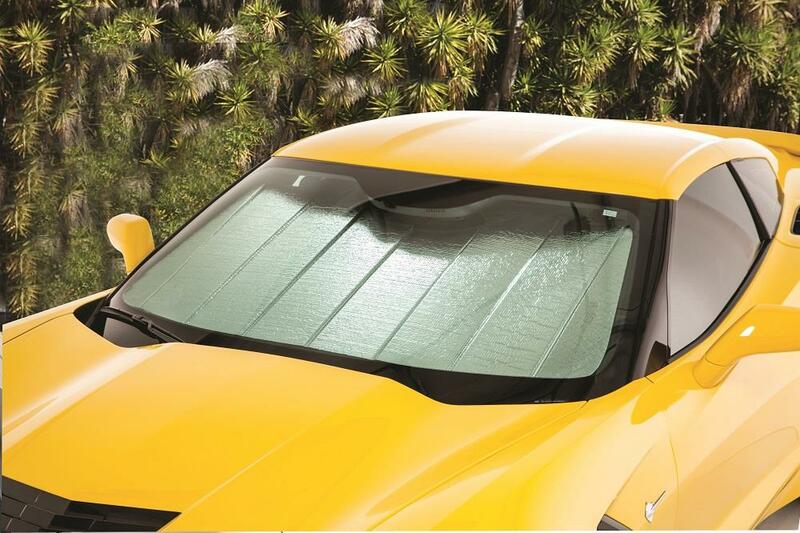 In the summer, use the reflective Mylar side of the panels to reflect the sunlight and prevent overheating. In the winter, the shade is just as useful, as you can flip it to reveal a surface of absorbent graphite that will retain warmth and prevent your car from getting too cold. This car sun shade is tailor-made for the year, make and model of your auto, so you can be sure it will be a perfect fit for your windshield. Why Invest in a Sun Shade? Without a sun shade in your windshield, temperatures can skyrocket and build up 40 degrees past the average found outside. This is dangerous and uncomfortable for anybody in your car. A sun shade is an effective and convenient solution to this problem. Reinforced panels are sturdy but easy to fold so you can place it and remove it without worrying about folding it a specific way. 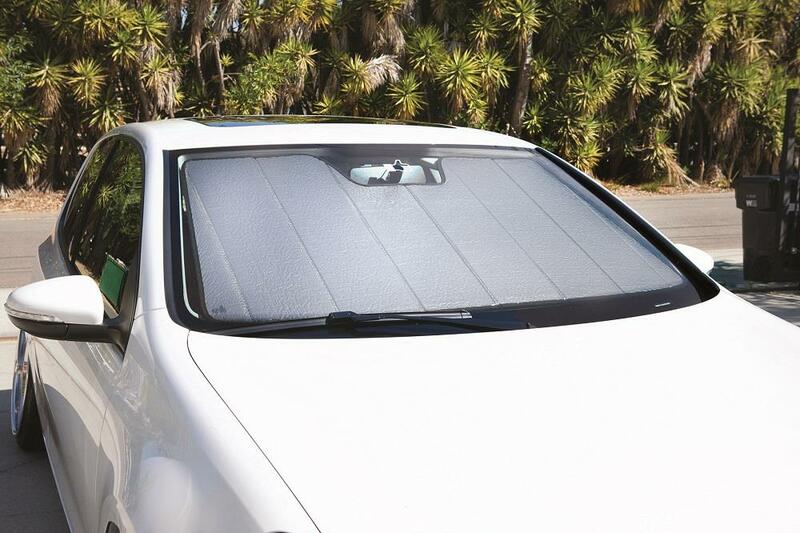 Protect your car and prevent overheating with an IntroTech windshield shade.